Socks from Wrightsock are available in several varieties from ultra thin single layer to cushioned Double Layer and many steps in between to allow you to choose your perfect sock. 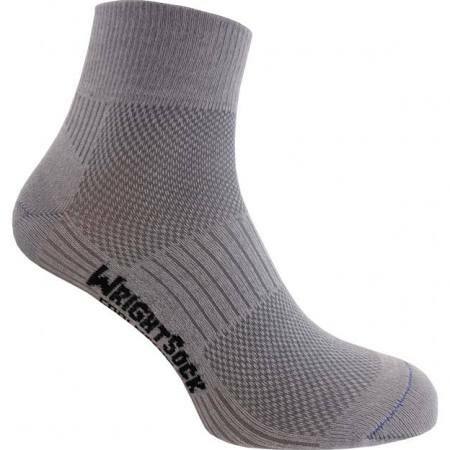 Wrightsocks lightest, most breathable Double Layer sock. 30% less weight than the Running sock along with a mesh panel across the top of the foot. This panel allows for maximum "wicking" action away from the foot, keeping you drier and cooler than other socks. Designed for all activities where lightweight is preferred. Perfect for Running, Cycling, Hiking and Walking on or off trails.